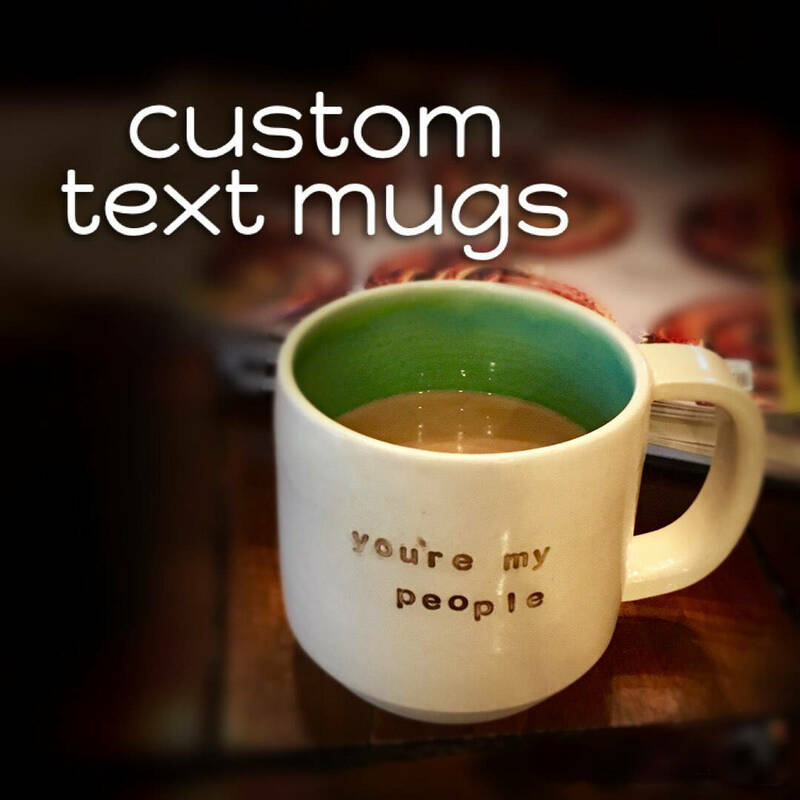 Handmade Pottery mug with custom order text. 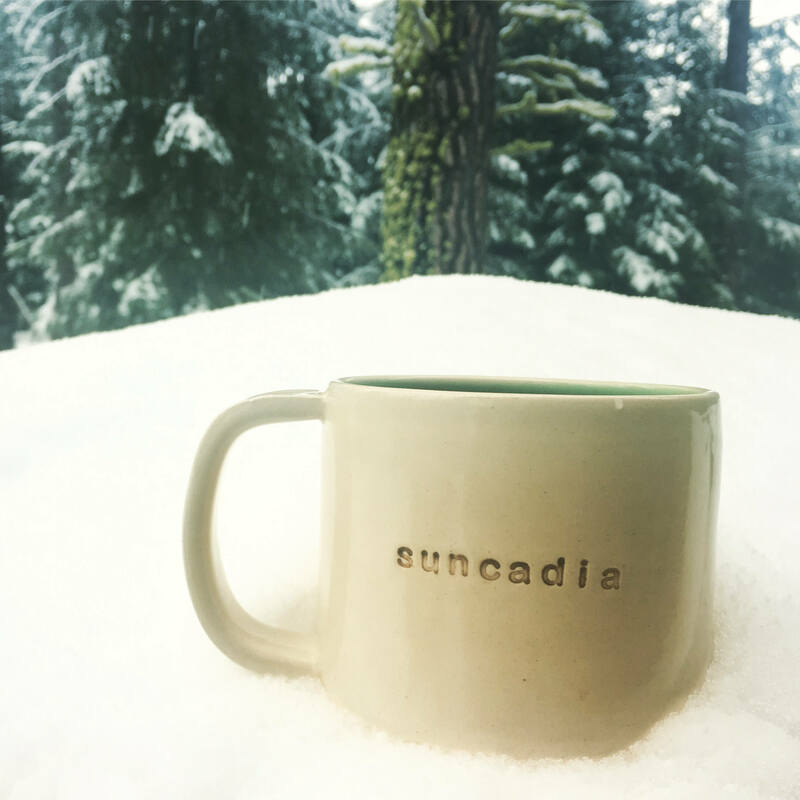 The mug is dishwasher and microwave safe, with a lead-free glaze. 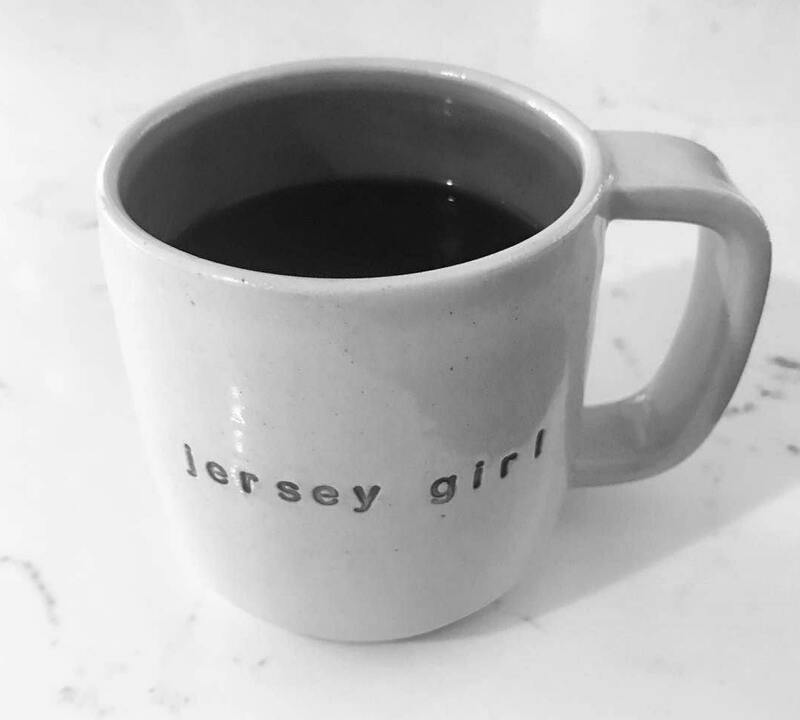 Holds approximately 12-14oz / (about 1.5 cups). 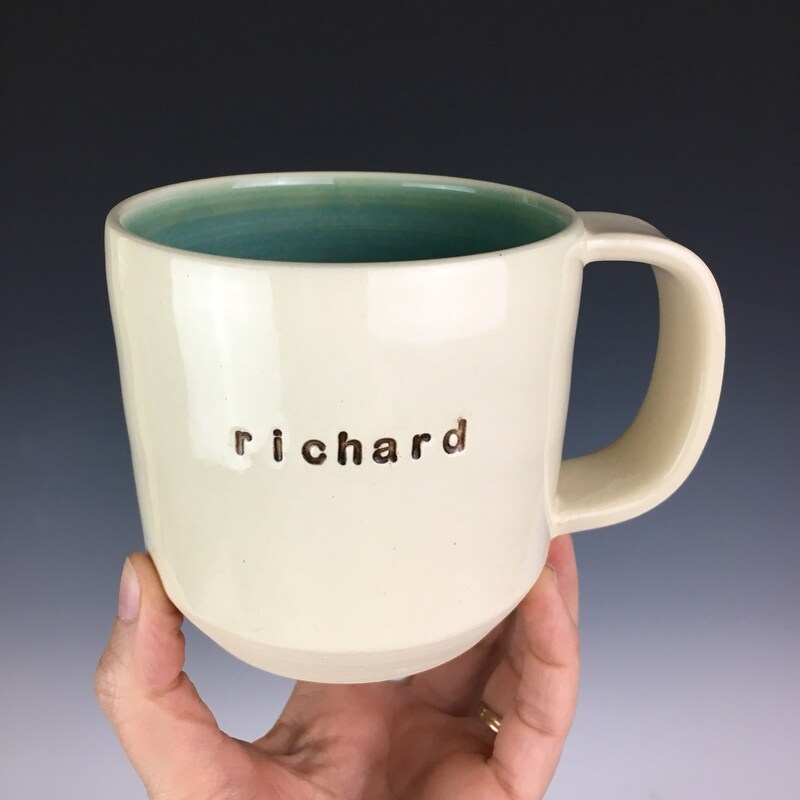 The cup is a lovely white clay with a turquoise-green glaze on the inside, and the customized text will be in a chocolate brown. Thrown on the Potter's Wheel by Meredith at Fern Street Pottery. 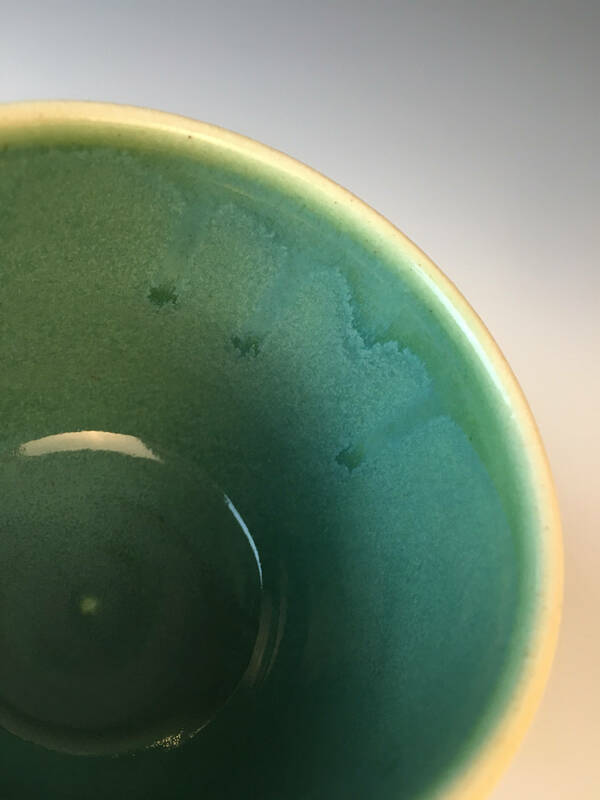 Each one is handmade so no two are exactly alike but they will be well matched (That's the beauty of hand made pottery!). 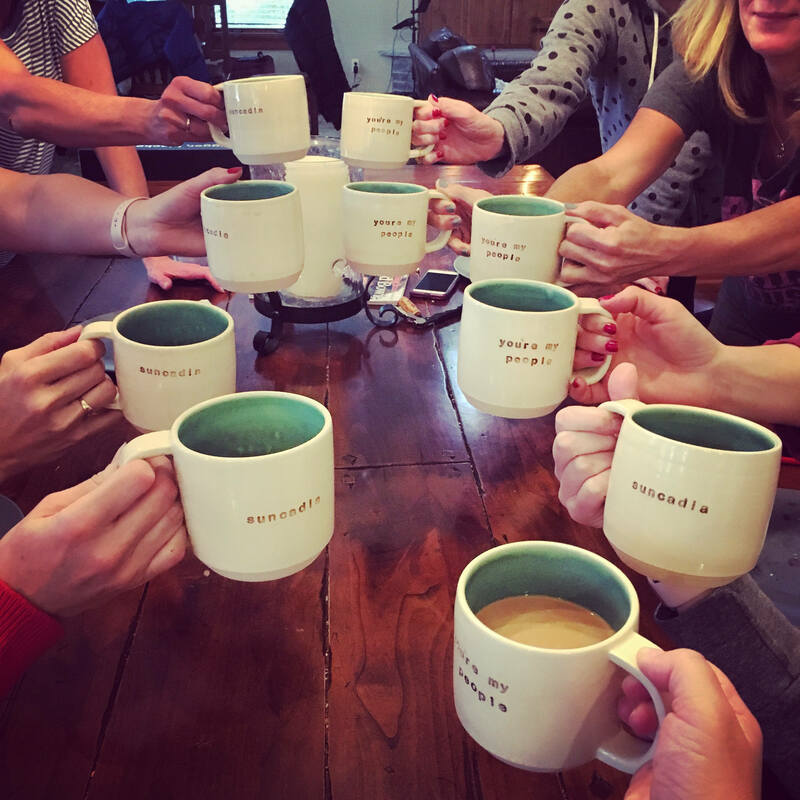 Mugs are microwave safe and dishwasher safe, and of course food safe/leadfree. 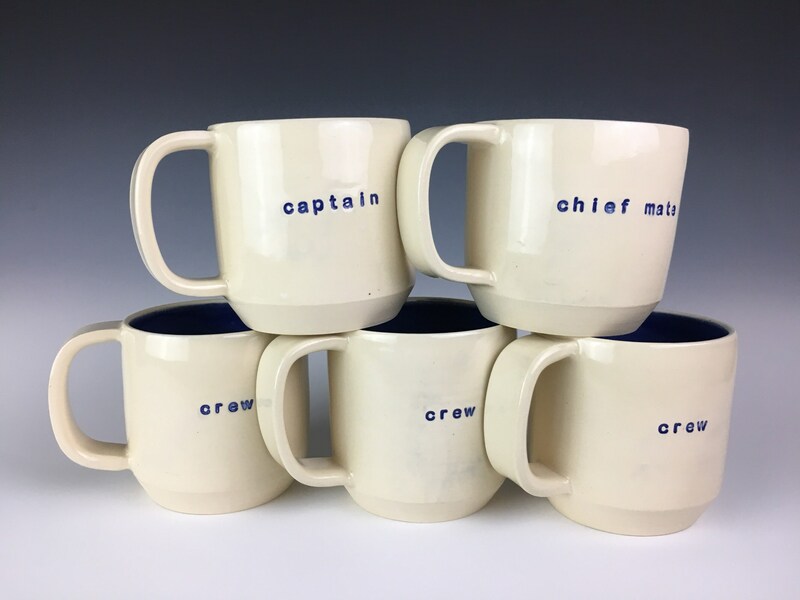 This sale is for one custom ordered mug. Order a set for a family reunion, ladies weekend, or a wedding gift. This mug will not exist until you order it... at which point I will throw it on the potter's wheel. The next day, after it dries a bit, I will trim the bottom, form and add the handle, and stamp in your text. 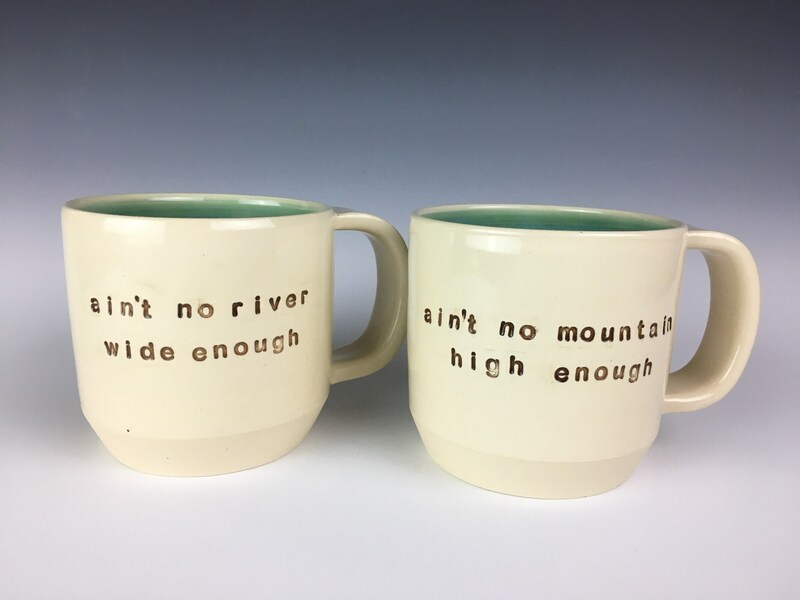 The mug will then dry for at least a week, possibly two (pottery dries slowly in the northwest!) before I can fire it and fill the kiln. (one day to fire, plus one day to cool). then I glaze- not just your mug but an entire kiln load of pottery- this takes a few days! Next I load the kiln and glazefire to about 2200 degrees (one day to fire, plus about 36 hours for the kiln to cool). 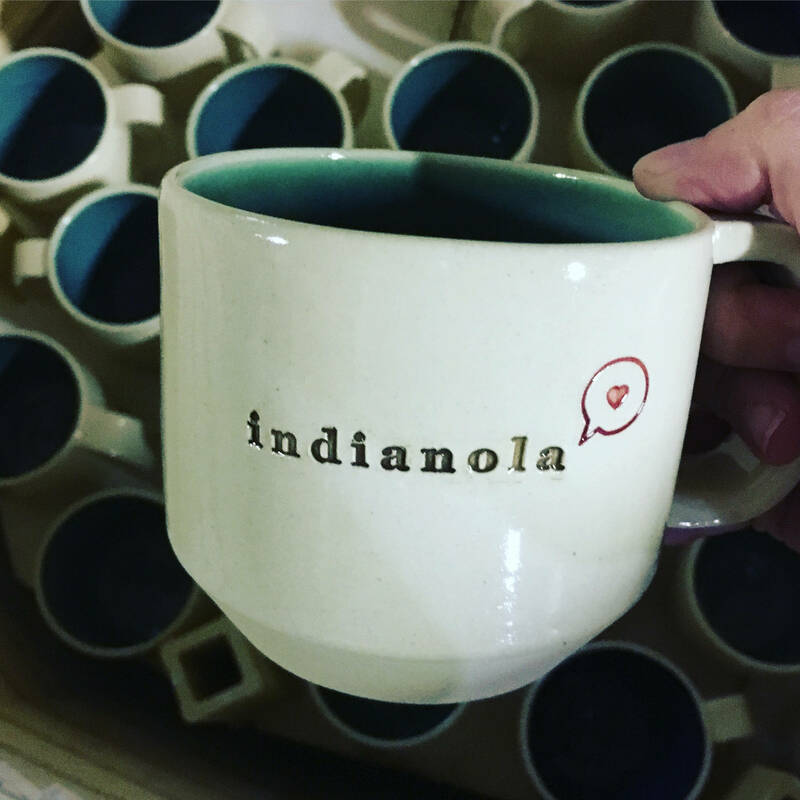 When the kiln has cooled, I sand the bottom and ship your mug! Whew! 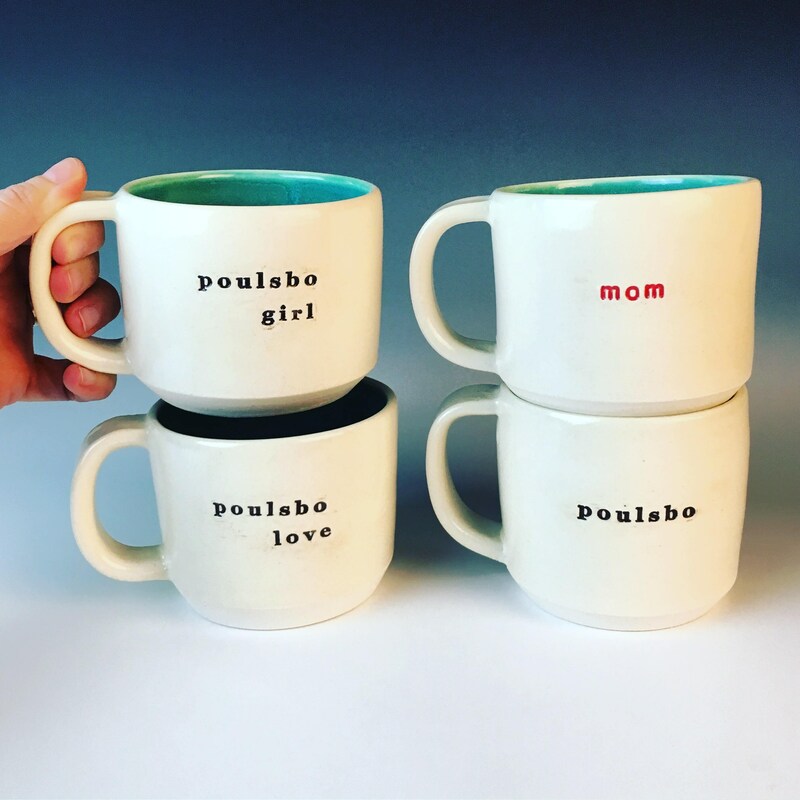 *Please write in the comments or message me on what you would like your mug to say! *Things to consider: keep it short- fewer words read the best! one or two words per line. I don't recommend going over 4-5 words. Check your spelling! *Writing will be in *all lowercase* letters, in a sans serif font. If this is a gift I can ship direct (be sure to put the recipient's address in the 'ship to' section). I will not include any pricing- But do let me know what to write on the card, so they will know who it’s from. If you want it shipped directly to someone other than you, be sure to put that address in the "ship to" space at checkout. Shipping is calculated based on the address where it is being shipped. *custom orders are not refundable or eligible for exchange! *Rush orders are not available. custom orders take 4-6 weeks.